Mark Totterdell from Exeter, has won first Prize in the Inaugural Manning’s Pit Poetry Competition, which attracted entries from as far away as India. Mark was brought up in rural Somerset and his poem ‘Form’ was inspired by memories of a field near his childhood home that is now built over. Mark is a prizewinning poet already, and has had two collections published; This Patter of Traces (Oversteps Books, 2014) and Mapping (Indigo Dreams Publishing, 2018). The Friends of Manning’s Pit, who organised the competition, were very pleased to welcome him to Barnstaple, and earlier in the day he made his own visit to Manning’s Pit, a beautiful secluded valley on the edge of Barnstaple. The competition was open to anyone who cares about protecting it, or a similar much-loved piece of countryside close to the place where they live. The prize-giving took place at St. Anne’s Chapel in Barnstaple, and prizes were given out by David Weeks, Executive Director of The Week Magazine, who works in London but comes home to Devon at weekends. The competition organisers had hoped to attract serious poets and it did that. 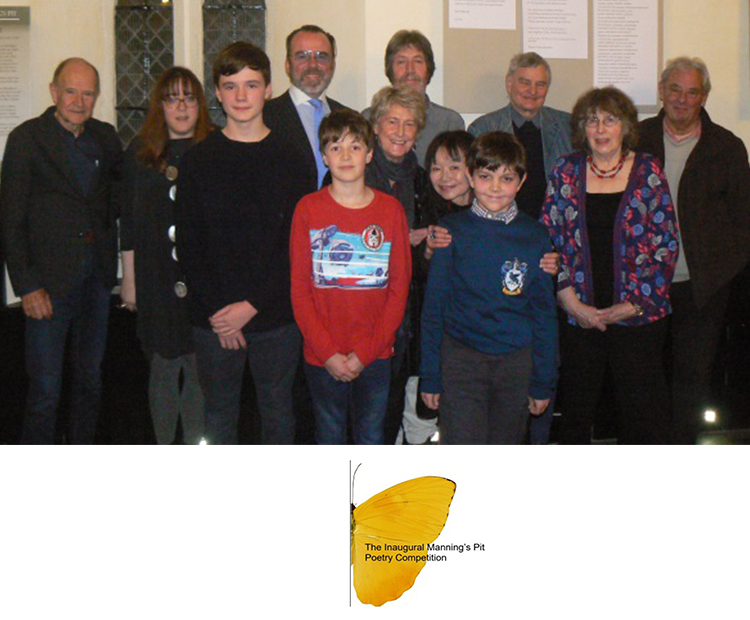 Second and third prizes in the adult category went to Frances Corkey Thompson and Mark Haworth-Booth, both already well known in the poetry world. One of the stars of the evening was Ryan Vowles, 14, who won the 12 to 18 age group category. He has visited Manning’s Pit many times with his grandfather and hopes that it will be preserved for future generations too. From a literary perspective, it was interesting that the prize winners in the under 12 category happened to be two boys (Toby and Theo Lawrence) who live in the house that was home to short-story writer Hector Hugh Munro (Saki) when he was a boy. Visit the Manning’s Pit website for further information.